CHICAGO – As part of its ongoing commitment to furthering equity, diversity and inclusion in librarianship, the Association of College and Research Libraries (ACRL) is supporting Stephanie Akau as its 2018-19 Spectrum Scholar. 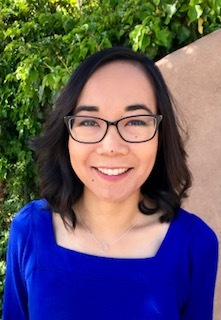 Akau currently works as a library information specialist at the University of New Mexico and is a student in the MLIS program at San Jose State University. Prior to entering library school, Akau’s academic focus was on music performance and education. She received her Bachelor of Music Education degree from the University of New Mexico, a Master of Music in clarinet performance from Michigan State University and her Doctorate of Musical Arts, again focusing on clarinet performance, from the University of Cincinnati. “ACRL has long been committed to ensuring equity, diversity, and inclusion in the profession,” said ACRL President Lauren Pressley of the University of Washington. “Sponsoring Spectrum scholars like Stephanie Akau is just one way we are able to put ACRL’s values into action at a time when many in our profession regularly express concern about, and need to see direct support of, those core values. Our signature initiative on EDI renews this focus and enables the association to further examine and develop support in these critical areas." The ALA Spectrum Scholarship Program actively recruits and provides scholarships to American Indian/Alaska Native, Asian, Black/African American, Hispanic/Latino, Middle Eastern and North African and/or Native Hawaiian/Other Pacific Islander students to assist them with obtaining a graduate degree and leadership positions within the profession and ALA. Through Spectrum, ALA affirms its commitment to equity, diversity and inclusion by seeking the broadest participation of new generations of racially and ethnically diverse librarians to position ALA to provide leadership in the transformation of libraries and library services. To learn more about the Spectrum Scholarship Program, or to donate, visit www.ala.org/spectrum.